Yes, I am the lady you saw at the library who raided the apple and pumpkin books and checked out another stack of fall-themed books as well. One of the ways we celebrate the current season is to have lots of themed books scattered around our living areas. I love autumn and all the multisensory pleasures it involves. The simmering cider, the leaves crunching underfoot, the rusty and golden colors, the crackling of smoky bonfires … it’s all wonderful. During the fall season, I am constantly pointing out the window while we drive around town, oohing and ahhing over all the pretty trees. My kids often pretend they are uninterested, but, every once in a while, they excitedly point out the fall colors too. They are too young to know how fleeting fall is. Soon there will be winter. I want to enjoy every moment while autumn lasts! Go apple picking at an orchard and let your kids help you choose a yummy apple recipe to make together. Look online to see what fall festivals are in your area and put one on your calendar. Collect leaves and make a collage or do leaf rubbings. Take a long walk or hike, making time to stomp on the leaves with your kids. If you live where the leaves are pretty, put pumpkin steamers (or another favorite drink) in to-go mugs and go for a long drive to see the foliage at peak season. Carve designs in pumpkins; you can even make it a contest if you want to. Make pumpkin pancakes and then visit the pumpkin patch. 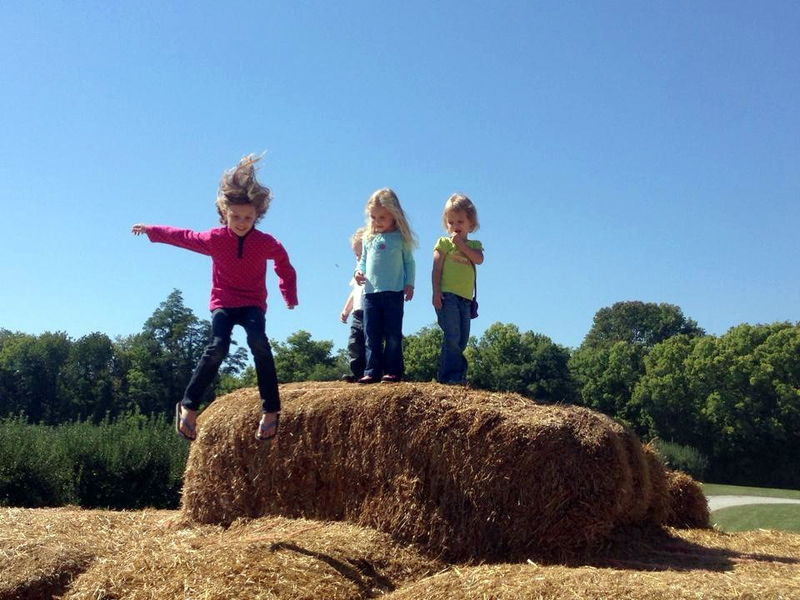 Find the best corn maze in your area and explore it as a family. As the days get shorter, start lighting candles at dinnertime (my kids love this). If your municipality allows it, invite some friends over for a bonfire and roast hotdogs and s’mores. Pick up some gourds or mini-pumpkins at the grocery store and let your kids be in charge of decorating the table tops and/or fireplace mantle. My kids are always so proud of their creative prowess when I give them control over some aspect of decorating. Check out some fall-themed books from your library. Autumn is for cozying up with a good book and a mug of cider, and it’s also, at least for us in the Midwest and Northeast, time to enjoy the good weather while it lasts. I have been taking the kids outside as much as possible. Just yesterday, we were at a park, and my two-year-old son was taking numerous breaks from the playground to run over and inspect the squirrels that were frolicking in the grass and chasing each other around. As soon as my son started chasing the playful squirrels, they would immediately scurry up a tree to avoid his well-intentioned toddler mischief. He would stand at the bottom of the tree, pointing upward, squealing, and try to keep track of them as long as possible. One of the great things about homeschooling is you can go to the park at 1:00 p.m. when there is hardly anyone else there. You can crunch leaves under your feet, look for bugs with your school-aged children, gaze at towering trees, and relish watching your small children take interest in playful squirrels. Whatever you do, whether you live in a four-season state with pretty leaves or not, hopefully you are enjoying this fall with your children. This season of parenting small children is fleeting too, just like fall in the Midwest. Let’s have many good memories colored with joy with our children while the season lasts! Loved the article! Fall is my favorite time of year but I haven’t been taking advantage of its beauty this year. We started school late so been feeling overwhelmed plus my son just diagnosed with aspergers. .. anyway I feel inspired to get out there now! Thanks for the comment Sherilyn! Sounds like you have had a lot going on. 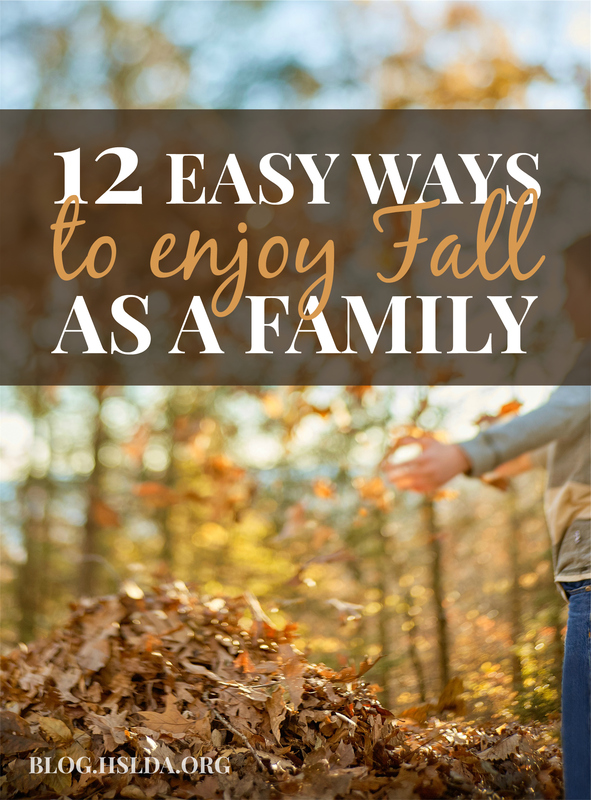 Hopefully you can integrate some simple ideas to enjoy fall, but I know there are also some seasons of life where things just need to be super, extra simple because life is rough, and I hope you aren’t too hard on yourself! I’m sure your doing a great job and I hope you can find some easy ways to enjoy fall and enjoy your kids!